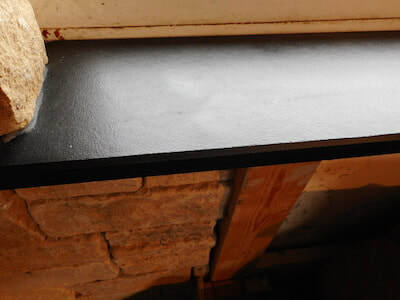 Slate can be used both internally and externally for window sills and can be very cost efficient against natural stone and wood ones as they will require minimum maintenance and keep their fantastic look for many years to come. ​We offer a bespoke cutting service as well as off the shelf sizes in a variety of different thickness's 0f either 20mm, 25mm , 30mm and even some at 40mm . ​Slate has been used for centuries due it its look and quality to stand up to the elements and nowadays can be cut to many different sizes quite easily and whats best is it give a home a real loved and warm look.